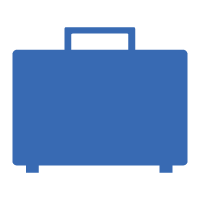 Original BMW Vehicle Accessories are warranted for the New Vehicle Limited Warranty period (4 Years/50,000 miles) when the installation occurs before the first delivery of a new vehicle. If the Original BMW Accessories installation occurs after the first delivery, the accessory will be warranted for the balance of the New Vehicle Limited Warranty period or two years and unlimited mileage from the date of installation, whichever is greater. No other piece of equipment has such a great impact on handling and safety as the tires. You can recognise the high-quality tires from BMW by the star marking. They are developed in close cooperation with leading tire manufacturers (e.g. Bridgestone, Dunlop, Goodyear and Pirelli) and are adapted to the chassis of your BMW for each specific model. Original BMW tires with star marking and the accompanying free BMW tire Insurance at no extra charge allow you to experience maximum driving pleasure. Here you can also find out everything you need to know about the innovative run-flat technology and the tire pressure monitoring system (RDC). 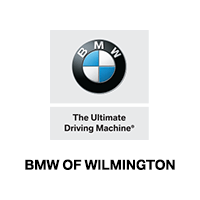 BMW of Wilmington guarantees the Lowest Installed Price in the Wilmington area for BMW approved tires. In most cases, our prices are simply the lowest, but we will even refund the difference if in the unlikely event you should find a lower price (that includes installation, taxes, & road hazard) at a local competitor within 30 days of your tire purchase. See a service advisor for details. 36 MONTHS OF CAREFREE DRIVING. Cover for up to 100% of the tire costs. Applies for all Original BMW tires and Complete Wheel Sets with star marking. 36 months of insurance cover from the date of purchase from your BMW Service Partner. tire damage caused by a sharp object (e.g. nail or broken glass). Damage caused by hitting the kerb. You can recognise the high-quality tires from BMW by the star marking. 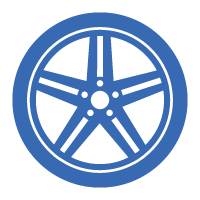 PERFECT FIT – Matching of tires is performed at an early phase of vehicle development. TESTED – Each tire has passed stringent testing with up to 50 different quality criteria (the EU tire Label demands compliance with only three criteria). SPORTY – Maximum Grip, dynamic performance – perfectly attuned to suspension components and adaptive systems. SAFE – Particularly long life, top safety ratings and state-of-the-art run-flat technology. ECONOMICAL – The systematic use of special materials reduces fuel consumption and lowers noise levels. 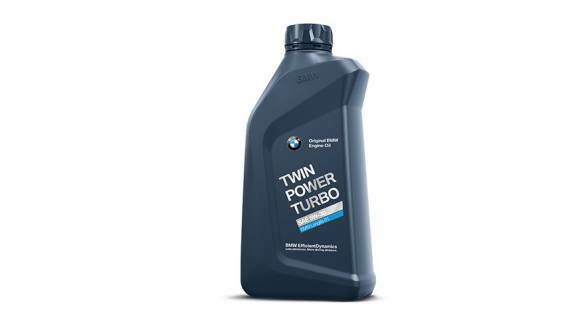 BMW TwinPower Turbo Engine Oils support the core traits of modern BMW engines and help to ensure maximum power and the utmost efficiency. They offer enhanced viscosity, which enables better cold starts and consistent performance. Original BMW Engine Oils also have an Active Cleansing Technology as well as integrated protection from corrosion and wear and tear. This keeps the engine as factory-clean as possible and increases its longevity. Engine oils for sustainable driving pleasure: Not only do these oils guarantee excellent engine performance, the Active Cleansing Technology also keeps critical engine parts clean and provides high engine protection. Engine oils for a world-class performance: Engine oils in the “Gold” category set new standards, guaranteeing outstanding engine performance and high engine protection. Oils with the “FE-fuel economy” label also ensure fuel saving in the NEDC of up to 2.5% compared to BMW Longlife-01 Engine Oils. Refilling with adrenalin: Engine oils in the “M TwinPower Turbo” category are tailored perfectly to BMW M high-performance engines and provide exceptional bearing protection under extreme performance and racing conditions. BMW Battery with AGM technology. BMW Batteries with AGM Technology (AGM stands for ‘Absorbent Glass Mat’) are ideally suited to meeting the constantly growing energy requirements of modern electrical systems. Once a vehicle has been fitted with AGM technology ex works, the battery must never be replaced with another technology in the future. Thanks to their increased performance capacity, these batteries support important EfficientDynamics measures such as the Auto Start Stop function. They are highly resistant to corrosion and internal short circuits and are more durable than regular batteries – even at extreme temperatures. The acid in a battery with AGM technology is bound up 100% in glass fibre fleece mats for optimum recyclability and low environmental risk in the event of accidents. 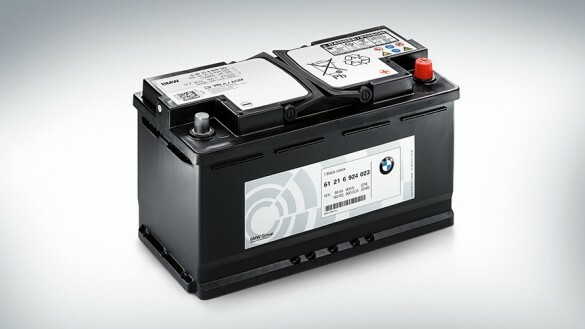 BMW Battery with calcium technology. Boasting high electrical performance, even at extreme temperatures and reliability that meets the demands of cold starts, the BMW Battery with calcium technology is especially suited to BMW vehicles without EfficientDynamics functions. It consistently offers a maximum level of performance and reliably transmits the stored energy to the on-board systems of your BMW. The low level of self-discharge means that the service life and storage time remain stable without any loss of quality even at extreme temperatures – and conveniently the battery does not require any maintenance. The high-quality calcium alloy affords a high level of protection against corrosion and internal short circuits. The result is a long-lasting and stable energy supply together with a good cold-start performance. The robust polypropylene housing is resistant to acid, benzene and oil and ensures optimum recyclability. Whatever the weather, BMW Brake Pads offer excellent braking performance with high safety over a particularly long lifetime. The materials and functions are precisely tailored to complement the modern driving dynamics regulation systems in the BMW like the Anti-lock Brake System (ABS) or Dynamic Stability Control (DSC). The brake pad material adapts to the characteristics of the brake disc and keeps its shape even in temperatures of up to 800°C. 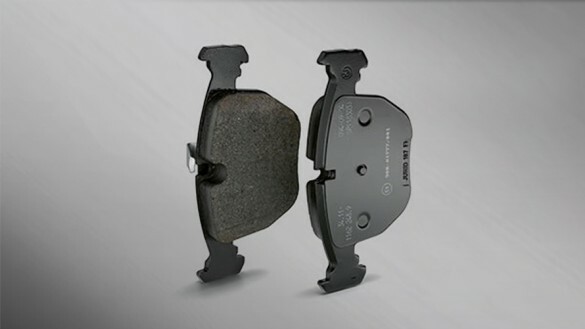 BMW Brake Pads do more than just fulfil the requirements set out by law: they are subjected to numerous tests and have to pass the stringent BMW quality assessment checks that are carried out even after the start of production. BMW Brake Discs and the individual components of the brake units work together perfectly to guarantee a high level of braking performance and reliability. The ABS of your BMW is exactly dimensioned for use with BMW Brake Discs. The superior brake deceleration is partly due to the large diameter of the brake disc, which is calculated precisely for each BMW model. Strict BMW guidelines regarding dimensions and tolerances guarantee the precise geometric shape. 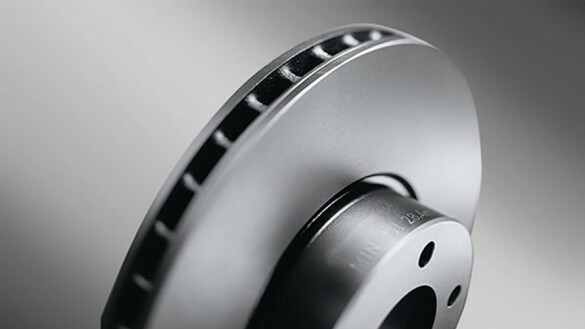 Thanks to the special combination of materials, BMW Brake Discs are particularly durable and resistant. To ensure they stay this way, all elements and data are constantly checked – even after the start of production. BMW Lightweight Brake Discs guarantee long operational life and maximum braking safety in very sitatuation. The combination of special materials and unique manufacturing processes enables a saving in weight of up to five kilograms per vehicle. This improves the agility and handling of your BMW while simultaneously reducing fuel consumption and CO2 emissions. The outstanding heat resistance of the brake discs also protects the materials from deformation caused by extreme stress while the aluminium brake disc chamber provides reliable protection against corrosion – resulting in the highest possible levels of driving dynamics, safety and operational life. This is tested continually in numerous practical trials and simulations to ensure you can always rely completely on the braking power of your BMW. 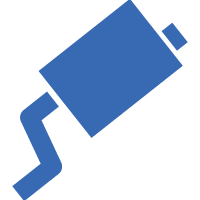 Whether your engine is petrol or diesel, the BMW Fuel Filter enables the engine to unleash its power to the optimum and counteracts contamination of the injection system. Thanks to a special combination of materials, tiny particles up to 0.004 mm in size are filtered out of the fuel with an accuracy of up to 99.5%. The precisely-calculated flow behaviour of the filter allows an even uptake of particles, which means it cleans longer and better than conventional models. The BMW Diesel Filter also expels the water in fuel and thus prevents corrosion of the injection nozzles. BMW Fuel Filters are ideally suited to the high pressure in the injection system of BMW engines – the filter housing is composed of heat and pressure-resistant aluminium; and the cap and filter body are specially welded with inert gas. This ensures that the housing stays sealed even under distortion and markedly lowers the risk of fire. Particulate matter, pollen or pollutants: BMW Interior Filters remove all of these dangerous elements and markedly improve the air in the vehicle’s interior. The high filtering efficiency is due to a combination of mechanical and electrostatic filtration and the use of activated charcoal. As a result, it not only filters out microparticles, but also dangerous gases such as ozone, benzene or nitrous oxide to a large extent. This is particularly beneficial for people with allergies. BMW Air Filters are precisely tailored to the relevant BMW engines and provide them with the right amount of purified air. The filter paper has special knobs in it that hold the pleats apart and permit an optimum uptake of dust. An intelligent filter construction especially tailored to the engine means the air filter captures up to 99% of impurities. This enables full engine performance and low consumption values over a distance from 60,000 to 100,000 km. 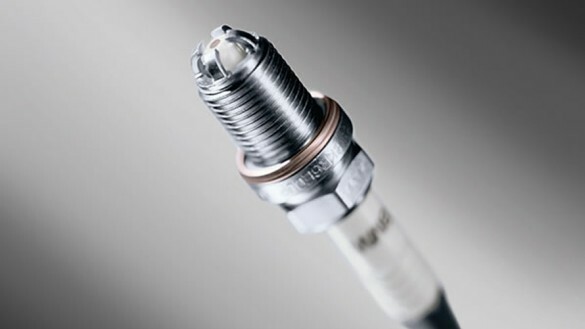 The plastic filter casing is also protected from external elements and can easily withstand temperatures from -40°C to 80 C.
BMW Spark Plugs are designed to perfectly meet the requirements of your engine. The spark plug housing is composed of surface-treated steel. This prevents the thread seizing even after long periods of use, thus keeping the aluminium cylinder head undamaged. High-quality materials and a precise heat value guarantee maximum ignition reliability in cold starts, when accelerating, as well as in demanding tailback situations. 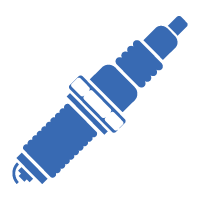 In combination with High Precision Injection from BMW EfficientDynamics, the spark plug, especially designed to be used with the engine in question, ensures the optimal combustion of fuel. Your benefit: reduced fuel consumption and CO2 emissions friendly. Snow, water or dirt: BMW Wiper Blades boast optimum cleaning efficiency and perform impressively in any weather – and even after 300 hours of use. In contrast to regular rubber blades, the innovative, synthetic wiper blades turn in the wiping direction as they move over the windscreen. The result: maximum cleaning power with minimum noise. BMW Wiper Blades are perfectly adapted to the shape and curve of the front windscreen and work reliably and powerfully even at high speeds. A spoiler on the wiper blade increases the surface pressure in reaction to counter pressure from the airstream and prevents it being lifted off. Enjoy clear visibility – in every situation – with BMW Wiper Blades. Precision and functionality down to the smallest detail: Original BMW New Parts are subject to the same standards of quality as BMW vehicles – from construction planning to quality assurance. The precision and high-quality construction of each Original BMW New Part guarantees that all components in your BMW work together perfectly – for optimum performance and maximum safety and longevity. Every day your BMW delivers high performance, and if it is to remain fully functional, there must be flawless interplay between all parts. This is why you should select Original BMW Parts: perfect performance can only be achieved if all parts are precisely matched to the requirements of each individual BMW model. This is how you obtain top quality and optimum safety. Come into the BMW of Wilmington Parts Department and receive 10% off any parts item, including waterpumps, exhausts, and more. Just show your Military ID. It’s that simple!